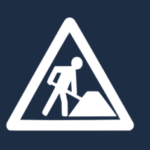 January was a month of preparation for ownCloud 8 (and recovery from the holidays!). Most of the activity was aimed at fixing bugs – but there were also some interesting new developments. In this post we’ll pull together activity from development lists, blogs, GitHub and other places. Tips are very much welcome! Ping Jos with your input. The biggest items this month were the many improvements in the desktop client (sharing links from the file manager! 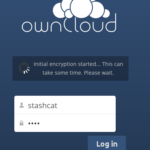 ), preparations for the ownCloud 8 release, a lot of performance work in core and a much improved passman app. You can read a report covering development from December here. January saw the merging of 325 pull requests, which was down from the almost 400 merges in December. About 50 of these were marked as fixing bugs, including the golden ‘showstopper’ tickets but in reality there were many more PR’s involving the improvement of existing functionality in preparation of the release so feature-wise there are fewer than usual. This is how it should be, of course, during a feature freeze! Core had 177 PR’s merged. Let’s go over the highlights! A replacement for the outdated ‘shared’ people icon with regular share icon as fallback and tidied formatting of Amazon S3 and other check boxes with some clever CSS by rnicoll. Several of these performance improvements require a cache like APC(u). Part of this functionality is built in into PHP 5.5 and higher but there is still room for improvement and it is recommended to run APCu. 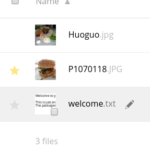 The Android app now has a file upload dialog with thumbnails thanks to TobiasKaminsky, and rhabbachi wrote an initial implementation of a download folder function in the Android app, which is now merged. The iOS app got the ability to share data with other iOS apps thanks to this PR. The Desktop client gained the ability to share links from the desktop file browsers, work started by by Azelphur and finished with this PR by rullzer (more related code here). Rullzer got the folder list in the tray icon sorted. ckamm refactored the account logic in the client to prepare for the much requested multi-account feature and thanks to ryo-on we have much improved NetBSD support and chrodan submitted a patch to hide Ignored files in the recent changes context menu of the client. Combined with the work by the core client team fixing bugs, adding other features and improving performance, desktop client users have an exciting 1.8 release to look forward to. If you want, you can help test the upcoming release! You can grab binaries on the bottom of the install page and help us get this release out. ocdev gained an appstore plugin so you can easily bring new apps in the appstore or update existing ones (some work is still needed server side). 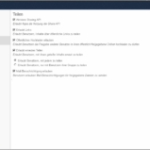 Raydiation also adjusted the app templates to the new ownCloud 8 improvements. See also our “what’s new for ownCloud application developers” article. The search_lucene app now also supports the new app-specific search in ownCloud 8, as well as the calendar, bookmarks and more. babelouest added some small fixes for the import in contacts and thanks to arkascha the shorty app now gets you a favicon! Last but not least, new work has been made on an Issue Reporter application which will, once completed, make reporting problems easier for both developers and users. The passman password manager, at almost 4000 downloads, has gotten some serious new features, including a user friendly first-time wizard explaining its inner workings. The app has also been made mobile-friendly and several bug-fix releases have come out over the last weeks. A user registration script is now available. It would be a cool feature to have in ownCloud and the author is encouraged to submit his work to the Apps repo if he’s able to maintain it! Big updates to the polls app–Tasks is almost, but not quite, ready for ownCloud 8 and there’s a new embedded video stream app update. If you want to get involved in coding on ownCloud – check out this page! People who want to fix issues in core or who want to build an ownCloud app will find links to the documentation. But if you are interested in translation, documentation, testing or anything else that helps ownCloud – you too should visit the contribute page! 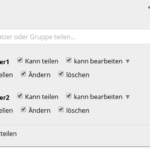 Conversations on the ownCloud development list included many announcements related to the upcoming release as well as conversations about API’s, the ownCloud Dolphin plugin, viewing medical DICOM images and much more. You can join the discussions on this page. The ownCloud news page, aggregating blogs by ownCloud contributors, also had the usual activity. Post about ownCloud’s 5th birthday, our appearance at open source events SCALE and FOSDEM (find a calendar of more ownCloud events on owncloud.org/events), a blog about performance improvements going into ownCloud, and three blogs about what’s new in ownCloud 8 for users, system administrators and developers. Note: what we describe here is code going into ownCloud as part of an open, collaborative development process. There is no guarantee the technologies developed, even those merged, will make it to a release: bugs or other concerns might force the code to be removed again; and further additions or changes can modify its behavior. This blog is meant as a way to allow you to follow what goes on in development.